Let’s face it: nobody likes a trash talker. Yet businesses are relying on subpar messaging to spread the word—while still expecting to yield positive results. On the contrary, when you share mediocre content, you get mediocre results . Don’t forget the age-old rule, “You get what you give.” Having quality content provides an engaging, relevant experience, while also establishing your credibility, increasing SEO value and search engine rankings, and building trust with your audience. 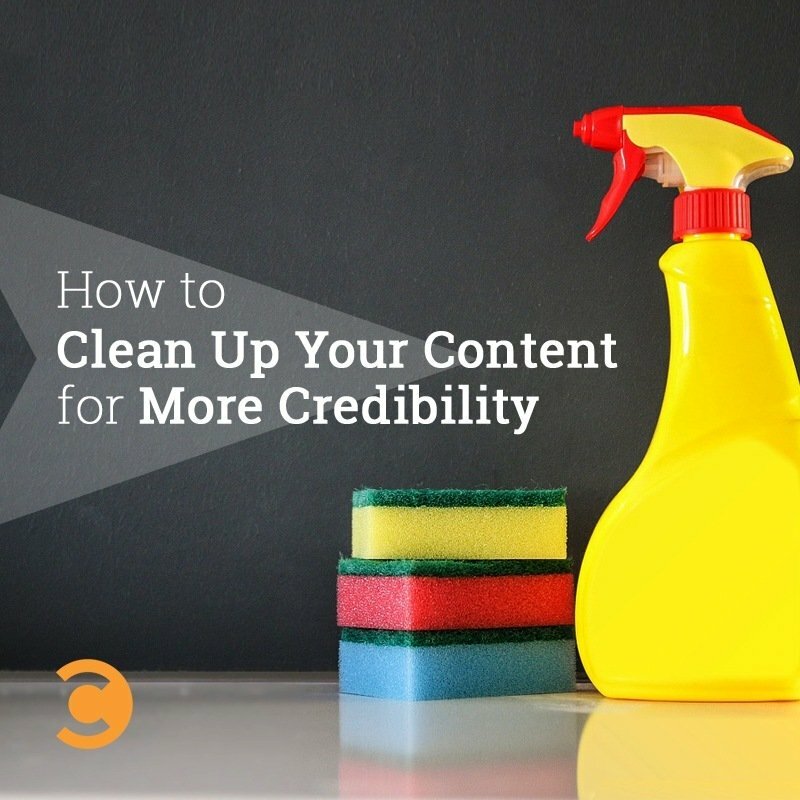 If you are not reaching your goals of cultivating a trustworthy reputation or rising to the top of Google’s ranks, maybe it’s time to ask yourself this: Could my content use a clean-up? We sometimes like to think our you-know-what doesn’t stink, but poor grammar, irrelevant information, and illegitimate sources can make a foul and offensive combination. Minimal social media shares or comments, little interaction, and low engagement are all possible signs that your web content could use a refresh. So, what constitutes quality content, and how do we get the good stuff? Marketer and Forbes columnist Jayson DeMers points out that while the term “quality” can vary based on industry, target audience, and other factors, the overall elements required to produce high-grade content typically remain consistent. Some markers of quality text are more obvious (correct spelling and grammar) while others might be less conspicuous (embedding links, readability score). Grammar: Correct spelling and proper grammar lend credibility in both your audience’s and Google’s eyes. Spellcheck FTW! Length: DeMers says that word count should depend on your intent. Want to boost SEO and attract links? Go long. If your target is mobile users, keep it short and sweet. Layout: Is it readable and easy to navigate? Clean layouts and strategic text formatting are conducive to reading and skimming. Social Aspect: Social media shares are important indicators of reach. Also important: comments on shares (the good ones!) and internal and external links that build credibility. Add Media: Visuals resonate with readers. Translation: We like pretty pictures! Utilize aesthetically pleasing, high-quality, and, if possible, original media such as infographics, video, and images to supplement your content. Domain: If your content is associated with poor-quality pages, it can negatively impact your credibility. DeMers recommends looking at the surrounding content (the pages it links to, the homepage, root domain, and other articles on the site) to determine the overall quality. Author: Do they have credentials? Are they experienced? In other words, authors should know what they are talking about. Also helpful in Google rankings are the number of articles your author has published. Purpose: Whether it’s a trending topic or an important resource, your content should answer a question, solve a problem, make people laugh, and ultimately serve a purpose. By referencing these steps, you can flush the inferior content from your site and refocus on fresh, relevant, and strategic compositions that will ultimately benefit your business.